Australia's Bicycle Network has come out in favour of reforming Australia's mandatory bicycle helmet law. Analysis by Piet de Jong shifts the focus of the helmet debate onto the arguments about the degree to which the large health benefits of cycling outweigh the far smaller risks involved. de Jong uses mathematical modelling to show that even under the most optimistic predictions of helmet benefit, the net public health outcome of helmet promotion (or laws) is negative. Rune Elvik, from the Norwegian Institute of Transport Economics, has used the latest methodologies to identify bias and conflict of interest in older helmet research that has greatly exaggerated the benefits. Analysing more recent studies, any benefit vanishes entirely. Published data from across Alberta shows how the province's child helmet law has reduced child cycling by around 56% while at the same time the absolute number of injuries has gone up. Why are Dutch cyclists more likely to be injured if they wear helmets? The Netherlands is the safest country in the world in which to cycle and very few people wear helmets. However, when cyclists go to hospital, they are much more likely to be helmeted. Why? Could many of the predicted benefits of cycle helmets be more accurately attributed to staying sober, as links between drinking and serious injury become clearer? It just so happens that most drunk cyclists don't wear helmets. 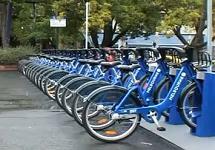 The health benefits of cycling More information added on health benefits versus risks, citing latest research. Also our commentary on Health on the Move 2, a landmark report on transport and health that strongly promotes cycling as a low-risk activity that could do much to enhance public health. What is the relative risk of head injury when cycling compared with other everyday activities? UK law would lead to 253 more deaths according to assessment using WHO HEAT tool, while Government research finds no reliable evidence of helmet benefit. Is cycling risky? How does it compare with other activities? How common is head injury? Safety in Numbers. 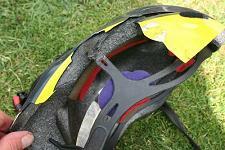 Ambitious claims are made for cycle helmets, but how do they perform in the real world? Papers for and against helmet effectiveness. "A helmet saved my life!" A common claim by helmet wearers, but is the truth so simple? Are laws justified? What have they achieved? Did this helmet save a life? The health benefits of cycling. Exceptional life expectancy of cyclists. What are the judgements of experts and the courts?